The Freight Transport Association (FTA) has entered into a new Partnership Agreement with the Department for Work and Pensions (DWP) in a bid to improve levels of recruitment into the UK logistics sector. A growing skills shortage threatens to impact logistics providers across the country at present and therefore this new agreement has been put in place to help tackle this issue in the years to come. The main details of the document pertain to efforts by both FTA and DWP to better promote logistics careers to jobseekers across the country in future, as a perception of the industry as not being attractive to work in is seen as a stumbling block to new entrants at present. Meanwhile, new work experience programmes are also being created to help educate young people to the benefits of a career in logistics, while DWP's JobCentre advisors are to receive additional training on the myriad opportunities the sector has to offer. With this in mind, an agreement to increase the sharing of market data between DWP and FTA has been put in place, while efforts will also be made to promote the professionalising of the industry through a range of new logistics qualifications. 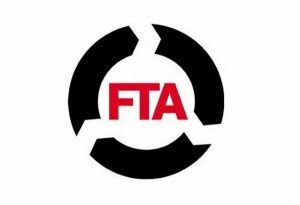 FTA managing director for membership and policy James Hookham commented: "FTA is delighted to sign this Partnership Agreement with the minister for employment [Esther McVey]. Our members have outlined the urgent need to address the issue of skills shortages – particularly the lack of qualified drivers. "This agreement outlines clear objectives, particularly regarding the improvement of recruitment and skill levels in the logistics industry, and commits FTA and DWP [to] specific outcomes to resolve … this as soon as possible." He added the coming years will be crucial to tackling this issue of skills shortages for the industry.